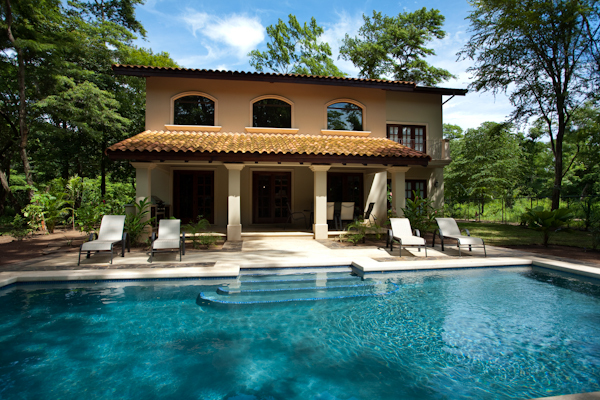 Buying property in Costa Rica is a fairly transparent process. However, as with business transactions anywhere in the world, it is important to do your due diligence and work with professionals. The information below can help you to understand the purchase process, and our team of dedicated and knowledgeable Re/Max Costa Rica agents is also available to answer your questions and streamline the experience should you decide to go ahead with buying real estate in Costa Rica. Please feel free to contact us for information without obligation. Unlike some of the other countries, foreigners have the same rights when purchasing land in Costa Rica as locals do. You can own property outright in your own name or in the name of your corporation. You do not need a local partner, except in cases of beachfront concession property, where special rules apply. There is absolutely nothing to prevent you from purchasing Costa Rica property in your own name, but the majority of buyers form a corporation with the help of a reputable lawyer and then purchase property through that corporation. The reason for this is threefold. One - it may be more beneficial to have your income (from rentals) or capital gain (from sale of the property) taxed within a Costa Rican company rather than having it taxed as personal income. Of course, this depends on the tax laws of the country from which you originate. Two - it allows for simplified estate planning, whereby you can give or will shares of the corporation that owns the property to members of your family. Three - if you ever decide to sell your property, you can avoid paying property transfer taxes a second time by simply transferring the shares of the corporation to the new owner. Another plus for property purchasers in Costa Rica is its central land registry which allows your lawyer to confirm that there is clear title to your property, as well as to discern if there are any restrictions on the property before the deal goes through. Also attractive are Costa Rica's very low property taxes - 1/4 of 1% annually. That means if you buy a condominium or home with an assessed value of $200,000, the property taxes per year would be $500. The actual nuts and bolts of purchasing are similar to those in North America. Dealing with a real estate company you recognize can provide additional security, since international franchises are governed by standard rules and regulations. Also, find out if your Costa Rica real estate agent lives in the community where he or she is working. Do they know the local market? Are they owners themselves? These are important questions as there are some large databases operating in the country run by individuals that don't even live in the country. Ask yourself if you want to be represented or advised by someone who is largely ignorant of your target market, and who cannot advise you of pricing, deals, lifestyle and issues peculiar to that location. Since real estate agent status in Costa Rica remains for the most part unregulated - another way to determine if your agent is a professional is to inquire if he or she belongs to a national associations such as NAR (National Association of Realtors). Similarly, though membership is not obligatory, most professionals also belong to a national or regional association, such as the CCBR (Costa Rican Real Estate Association) or CRGAR (Costa Rican Guanacaste Association of Real Estate). More importantly, work with a realtor with a good reputation. One of the best ways to find someone you can trust is simply to ask around. Given that most communities in Costa Rica are relatively small, it won't take you long to come up with some names of reputable realtors in the area. Also of importance in the process is to secure your own lawyer to represent your interests in a property purchase. Your lawyer should check the title on your property in the central registry, and can also assist with forming corporations, opening bank accounts and doing other business related to land purchase. Many foreigners who travel here come specifically with the intent of buying property in Costa Rica. Others travel to Costa Rica on vacation and decide on the spur of the moment to make a financial or lifestyle investment. Whatever your situation, dealing with professionals can simplify the purchase process. What is the process for making an offer? First, you and your agent will write an offer that suits your circumstances. The offer will be presented to the seller, whether that is a developer or private owner. Either the seller will accept the offer, or negotiations will ensue regarding price, terms or both. Once buyer and seller have come to an agreement and have signed the contract, a deposit (usually 10%) is expected. The normal time period for receipt of deposit is two weeks, but this time period may be negotiated according to the buyer's circumstances. All funds should be held in a SUGEF or government registered escrow account. It is common for buyers and sellers to use third party companies such as Stewart Title for escrow purposes. Final closing would normally be anywhere from 30 - 60 days after both parties agreeing to the terms and signing the contract. If you need to borrow funds, it is normally simpler, and interest rates are usually lower, in your home country. Your best option for financing in Costa Rica is via owner financing, and there are several legal structures in place that can make owner financing safe for both seller and buyer.